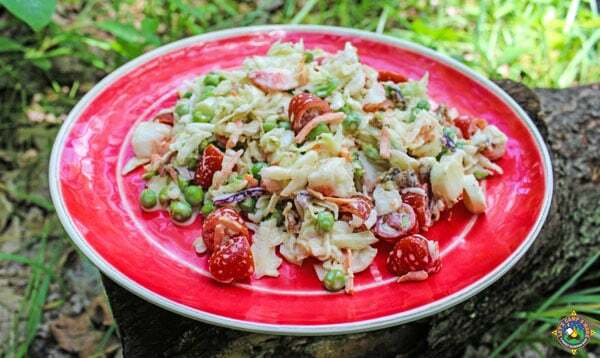 Create this hearty crab salad for a cool meal on a hot summer weekend while camping. 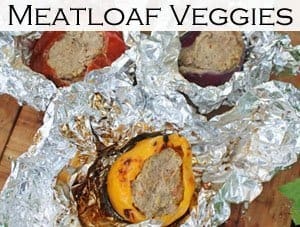 This low carb recipe is also perfect for potlucks. When we were on our Mississippi River camping trip, we met a nice couple at Wyalusing State Park. They had a really cool trailer, which prompted a conversation and we met Peg & Al. We hung out with them a few nights, watching the sunset from their ridge side site. They were finishing up dinner as we arrived one night and it was a very interesting pasta salad which included cheese sticks. 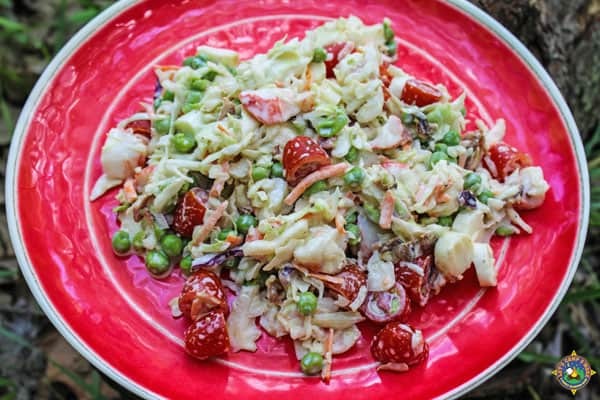 She shared how she made this easy pasta crab salad. We adapted the recipe with coleslaw instead of pasta, which makes it a keto recipe. I made it at home right away and we devoured it. Now it is our go-to for our first night of camping. It is very easy to make ahead at home and take with you. 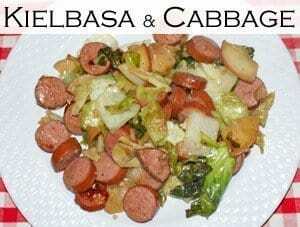 When Eric first tasted this salad, he said there was NONE for me. He was joking because this makes quite a large amount and we couldn’t finish it all. He called dibs on the leftovers. This keto salad was all we had for dinner, and we were FULL! It is so cool and refreshing. Especially after a long hot day of hiking or biking. 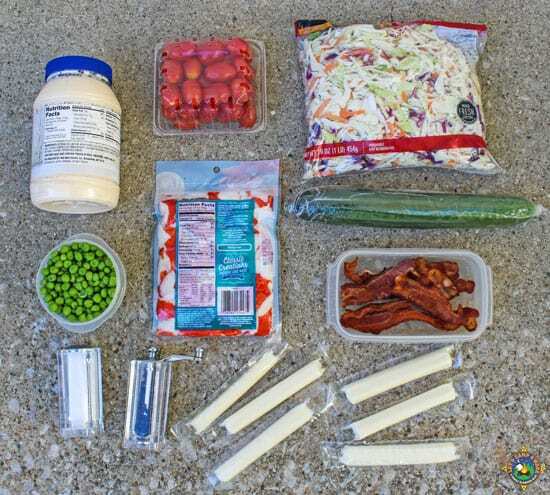 The little cheese stick discs make this recipe a lot of fun! 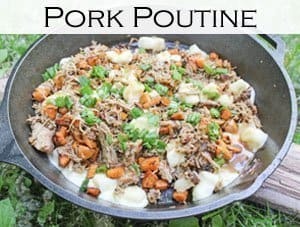 We love it so much that we will make it at home to eat when it is not camping season. Would you prefer to use pasta or coleslaw? Would you add any different ingredients? I think cut grapes would be good to add. Thank you to Peg for sharing this recipe. We are happy to have you as part of the Let’s Camp S’more Mod Squad. 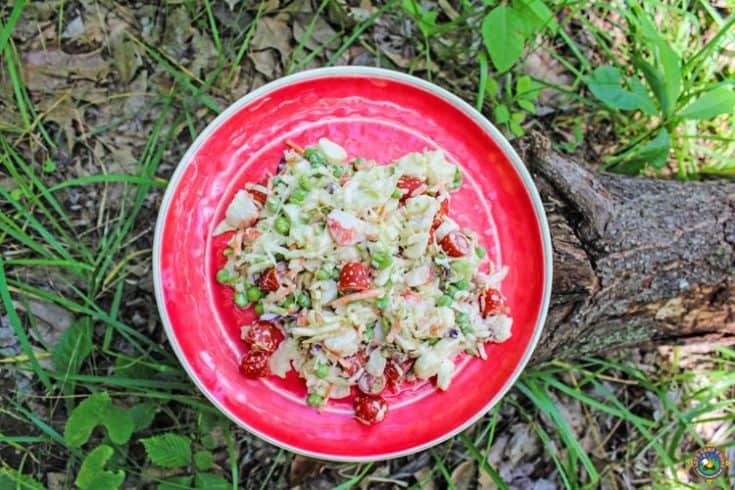 Create this hearty salad on your next camping trip. This refreshing low carb recipe is perfect for someone on a keto diet. Precook the bacon and set aside. We often have bacon for breakfast, so we set aside 6 slices in the refrigerator. If using frozen peas, you can heat and let them cool before adding to the salad or just use the peas frozen. 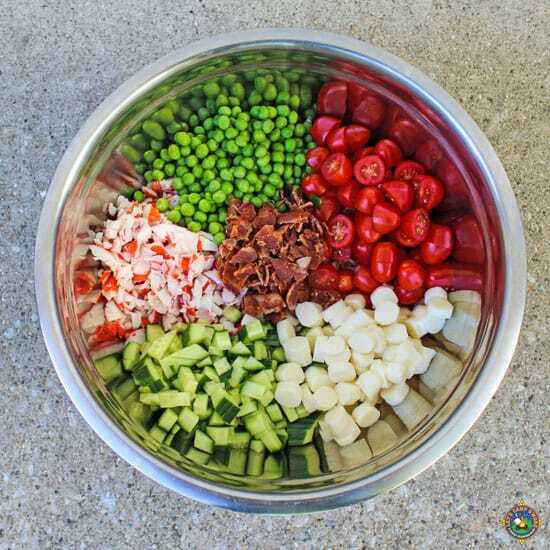 Place the coleslaw mix into a large mixing bowl. Chop up the crab and place it in the bowl. I just opened the bag and broke it apart as I place it in the bowl. Crumble the cold bacon and add it to the bowl. Cut the cheese sticks into small round pieces and add to the bowl. Chop the tomatoes in half and add. Dice the cucumber and add to the bowl. Chop and add the green onion. Stir the contents of the bowl together. Add in the desired amount of mayonnaise. We used about 3/4 of a cup. Enjoy any leftovers the next day. 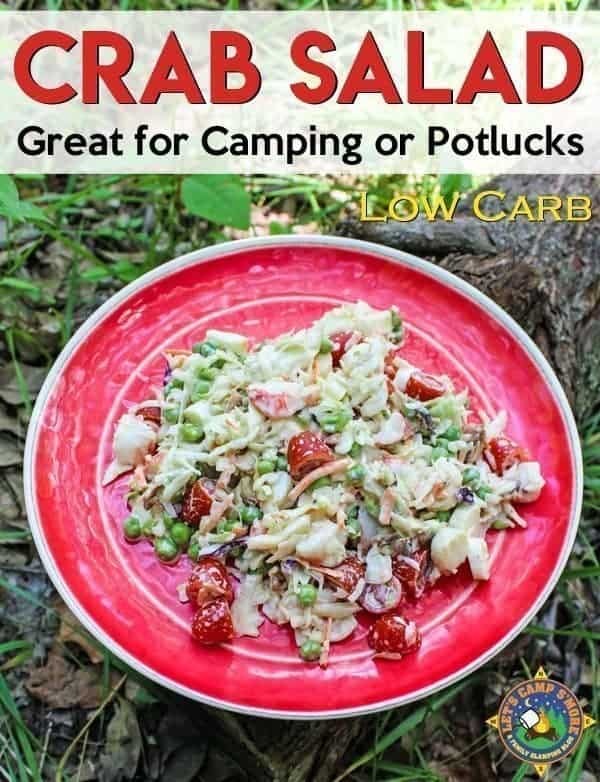 Your Crab Salad looks amazing! Happy to see you here at Full Plate Thursday and thanks so much for sharing with us.